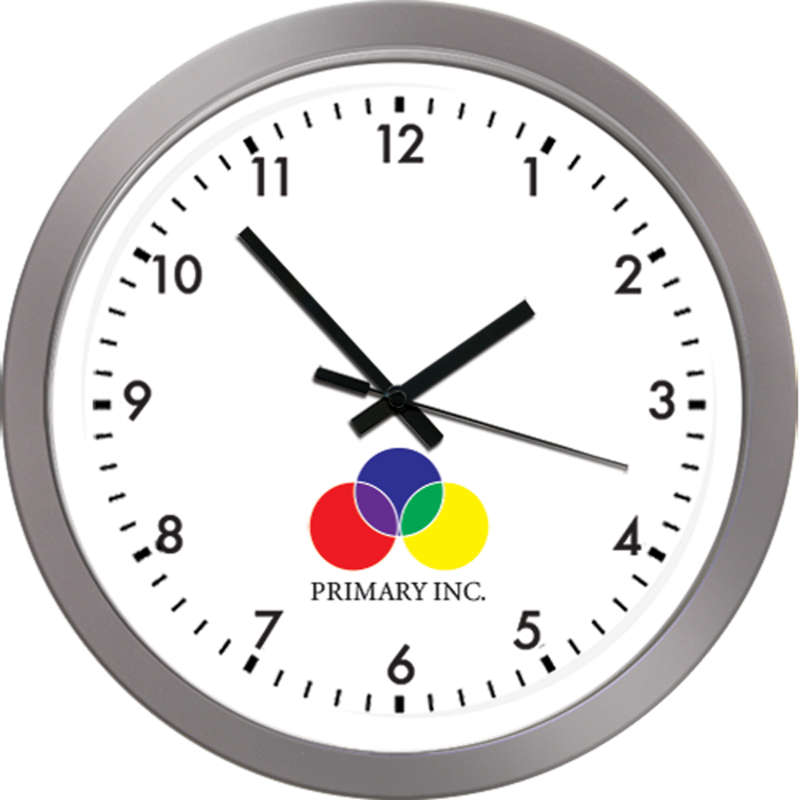 This 11.5” clock provides brand exposure 24 hours a day. 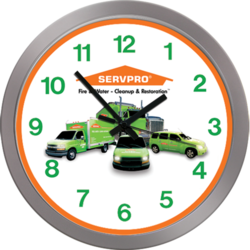 Great for restaurants, bars, banks, hotels, schools, dealerships, offices, and retail. Includes a full color high resolution imprint. Constructed with glass lens and plastic case. Promote your brand 24/7. Customize your clock by choosing from various cases and colors. All clocks include a full color high resolution imprint. Great for restaurants, bars, banks, hotels, schools, dealerships, offices, and retail. Clocks come packaged in white gift box. Individual shipping boxes are available. Battery powered clock movement. Constructed with glass lens and plastic case. Includes full color high resolution imprint. Can be packaged in individual shipping box for additional $3.00 (G). 11.5" x 11.5" x 1.62"